Lying in the foothills of volcanic Mount Merapi, Yogyakarta was once the cynosure of several ancient kingdoms. The last eruption was in 2006 when it left the town in a thick layer of lava, tonnes of ash and severe damage but that did not break the spirit of people here. The more you delve into its stories, the more you get rapt in its character. And talking about character, there’s no way you can leave its food out. Food in Yogyakarta has been a lightning bolt in my travel life as it exposed me to unfamiliar cooking techniques and weird ingredients. Chinese influence in dishes is visible, but it is not limited to that. What I most like about the food here is that it has the spirit of Java which makes it distinct from the other islands of Indonesia. There are certain recipes which are unique to this town itself. Another thing I noticed was the eating culture – it is not uncommon for the locals to spread their mats roadside to enjoy the food. Now, where on earth will you get to see this? I hope the following suggestions will spur you up to visit this town of incredible wall art, magnificent ancient temples, and vindictive Mount Merapi. 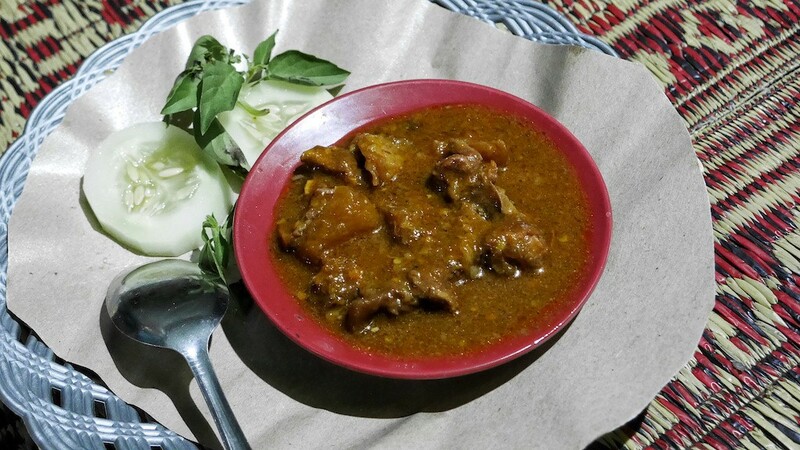 A traditional Javanese dish which originated in Yogyakarta, its recipe has elaborate instructions and requires years of expertise. That’s the reason you will find this at fewer places. 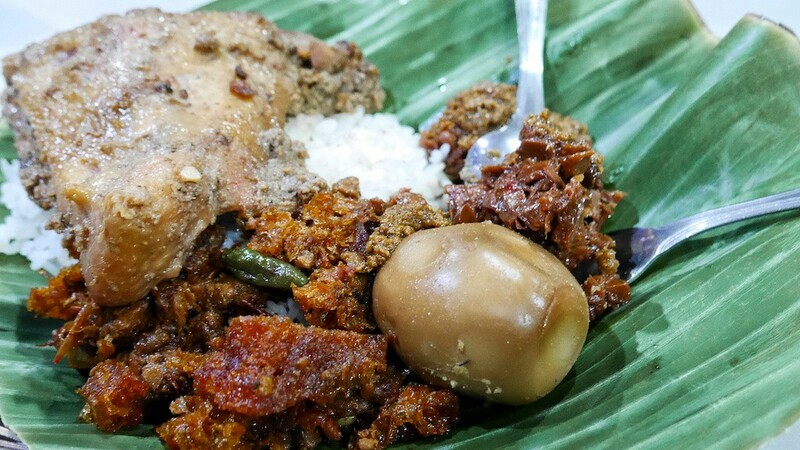 A plate of Gudeg comes with – fried chicken, crispy fried buffalo skin, jackfruit cooked with palm sugar and coconut milk, a hard boiled egg, sambal and steamed rice. The Yogyakarta version is more on the sweeter note, to find its savoury counterpart go to the eastern side of the island. Now hey, how can you not do a satay evening when in Indonesia. 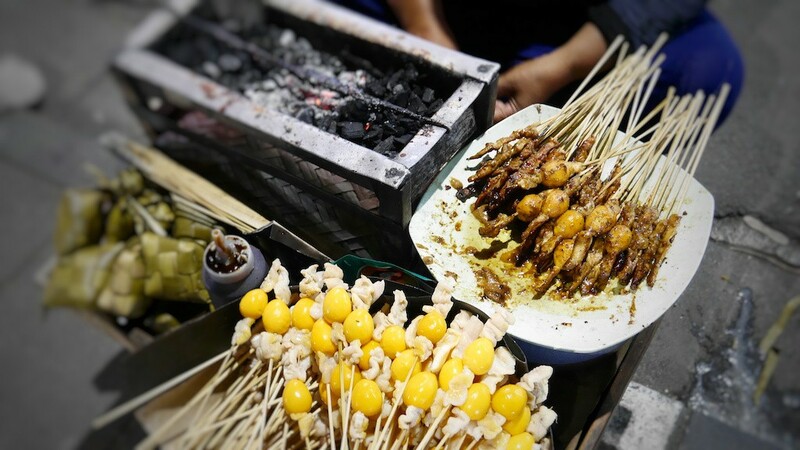 But, it is not a typical chicken satay, it is chicken meat skewed with a quail egg with peanut sauce, soy and pepper powder. 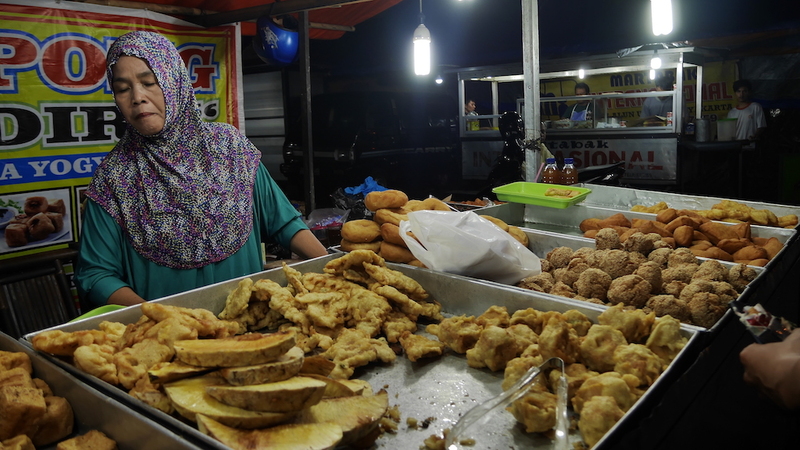 You can easily spot Indonesian aunties grilling these fresh on Jalan Malioboro. I have heard of all kinds of weird meat used in satay like chicken intestines and skin; I just didn’t have the heart to try them. But do give this a try, all I can say is, it is different! Another proud Javanese dish. 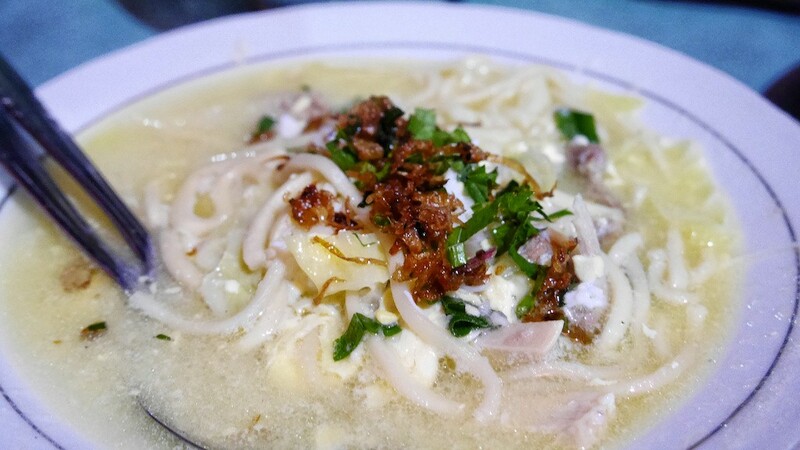 Boiled handmade noodles in herbal chicken broth garnished with fried onion and spring onion. A small family-run shop near the Kraton has a secret recipe for their broth that sets them apart. Their special broth has kampung (country) chicken, lots of garlic and a bit of honey! Did you know wasps make honey too? It is the fried version of the dish above. 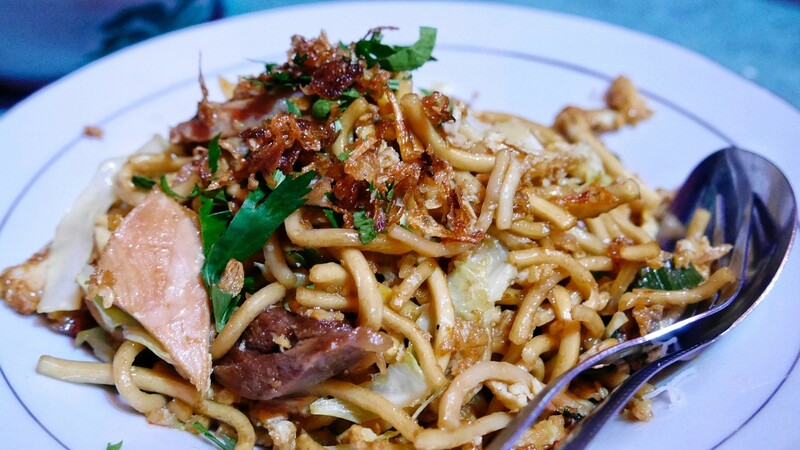 Originally a Hokkien dish, it has found much fame on the streets of Yogyakarta, perfect for a quick evening snack. It is cooked with different spices and has duck meat. 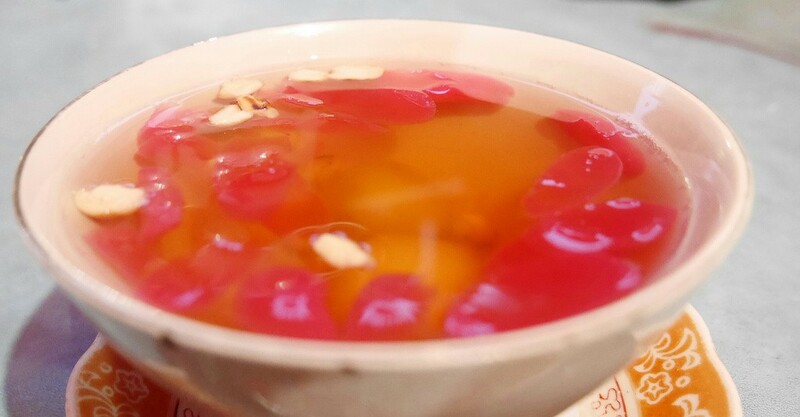 Ronde gets its inspiration from Tang Yuan, a Chinese drink which is savoured in winters but this hot ginger soup has become a comforting beverage for Indonesians during the rainy evenings. The glutinous rice balls filled with peanut paste is just the flavour needed to balance the spicy ginger. I got tempted by the red balls. Available in both cold and hot forms, Tape is a light, refreshing drink which is nothing but fermented rice infused in hot water. 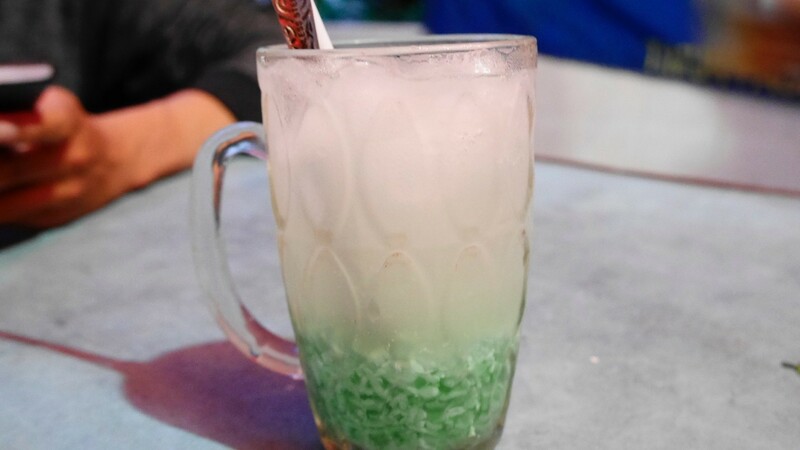 I think the rice gets its green colour from the pandan leaves, but I could be totally wrong. 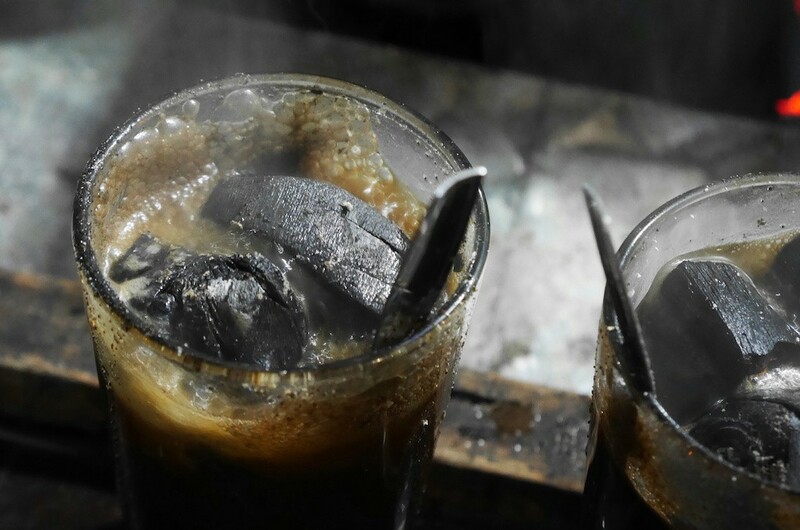 Nevertheless, a great drink after a long walk on a hot day in Jogja. It is the spiciest thing I have ever tasted. Like ever! I took the spoonful of it into my mouth inadvertently, and the next moment I was crying both from my eyes and nose. A makeshift shop under tarpaulin run by a Muslim family got to be the best mutton soup shop in the town and do you know why? Because this is the only dish on their menu! Ok, not a fan of friend stuff and the trans fat it carries, but I had to try it when they were frying unusual stuff viz. plantain, jackfruit, cassava and much more. Honestly, this is not something I’ll eat again, but when you are on a food tour you got to be ballsy! 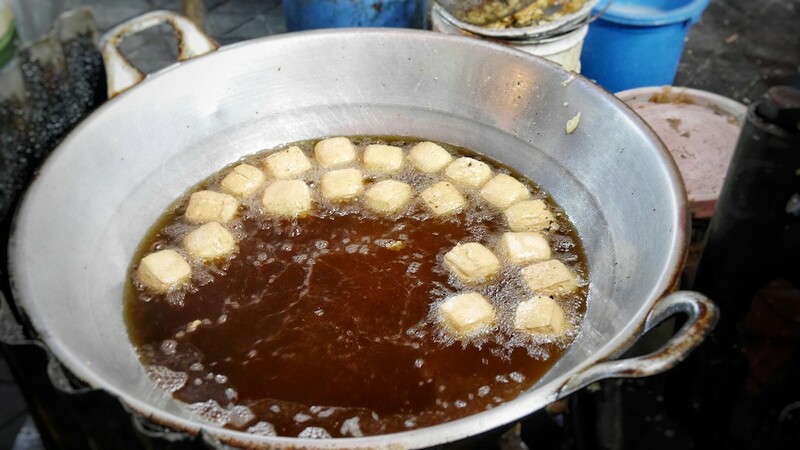 A traditional snack which can be found across Indonesia, actually everywhere in South East Asia with different names – called Buchi in the Philippines and Kuih Bom in Malaysia. 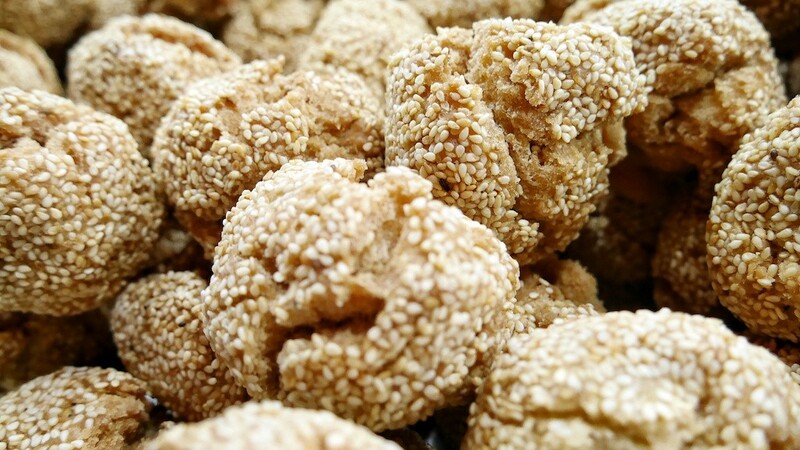 The glutinous rice balls, filled with mung bean paste and coated with sesame seeds. Again, it draws inspiration from a Chinese snack. A sweet snack worth stopping for. 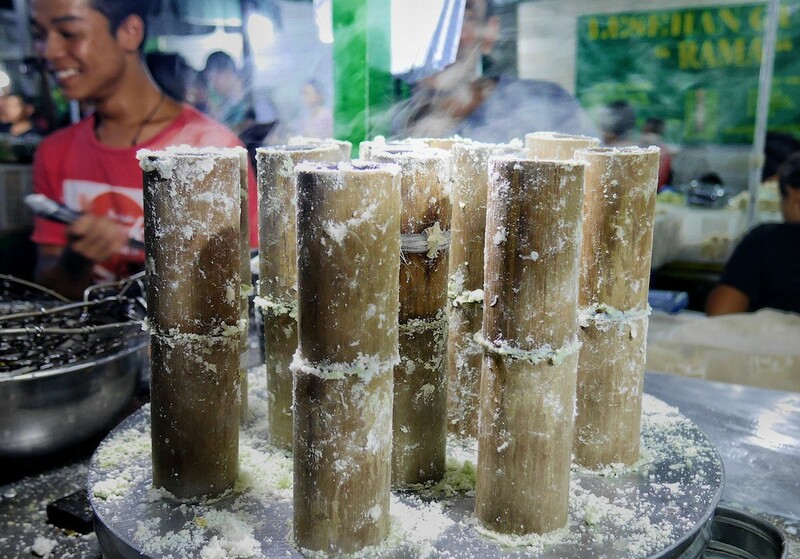 You can also see the traditional way of cooking it – the rice flour is steamed inside bamboo with palm sugar and then cut into cakes. It is mostly available at the carts next to the ones selling fried stuff. A perfect small treat to satisfy your sugar cravings! How would you like your coffee? With a piece of coal please, Thank You! This is how I like to end my delicious evening. Kopi Joss is a unique (the actual word I am looking for is weird) kind of coffee where a chunk of burning coal is dropped into the black coffee and is kept for a while to get the desired turbidity and bitterness. Do you know of any other town which has incredible food and is worth trying out? Shoot your suggestions and let me fit it in my travel plans. Thanks to Backstreet Academy for arranging this tour for me. Check out their website for the awesome tours guided by locals.